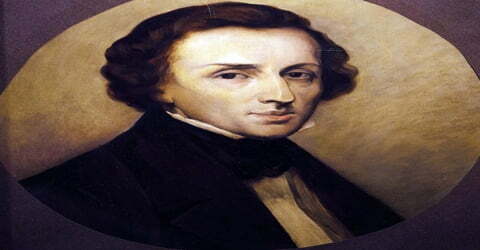 Frédéric Chopin – Polish composer and virtuoso pianist. Chopin was a poetic genius and one of music’s earliest superstars. He was blessed with a professional technique that was unparalleled in his generation. He was a child prodigy and had started giving public concerts by the age of seven He left for Vienna a month before the November 1830 Uprising; by this time he had already completed his musical education and had composed many works in Warsaw. Eventually, he settled in Paris and obtained French citizenship. Primarily he earned his living by selling his compositions and teaching piano. His piano compositions were very popular and included sonatas, mazurkas, waltzes, nocturnes, polonaises, études, impromptus, scherzos, and preludes. At 21, Chopin settled in Paris. Thereafter in the last 18 years of his life, he gave only 30 public performances, preferring the more intimate atmosphere of the salon. He supported himself by selling his compositions and by giving piano lessons, for which he was in high demand. Chopin formed a friendship with Franz Liszt and was admired by many of his other musical contemporaries (including Robert Schumann). 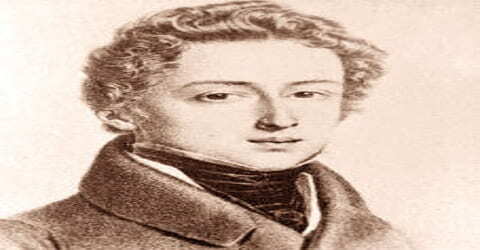 In 1835, Chopin obtained French citizenship. He became involved in a love affair with the French novelist Amantine-Lucile-Aurore Dupin, a.k.a. George Sand and this relationship had a deep influence on his creativity. Frederic’s health remained an area of concern throughout his life and took a severe toll on his productivity, which was further compounded by the ending of his relationship with Sand. 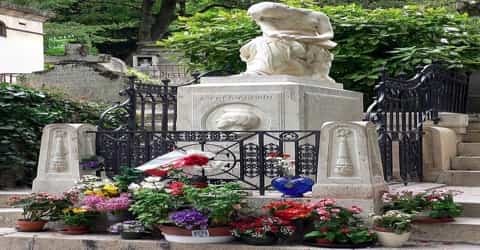 After several years of indifferent health, he finally succumbed to tuberculosis and passed away in Paris. His pupil and admirer, Jane Stirling, supported him financially in the last years of his life. All of Chopin’s compositions include the piano. Most are for solo piano, though he also wrote two piano concertos, a few chamber pieces, and some 19 songs set to Polish lyrics. His piano writing was technically demanding and expanded the limits of the instrument: his own performances were noted for their nuance and sensitivity. Chopin invented the concept of the instrumental ballade. His major piano works also include mazurkas, waltzes, nocturnes, polonaises, études, impromptus, scherzos, preludes and sonatas, some published only posthumously. Among the influences on his style of composition were Polish folk music, the classical tradition of J.S. Bach, Mozart, and Schubert, and the atmosphere of the Paris salons of which he was a frequent guest. His innovations in style, harmony, and musical form, and his association of music with nationalism were influential throughout and after the late Romantic period. Frédéric Chopin, French in full Frédéric François Chopin, Polish Fryderyk Franciszek Szopen, was born on March 1, 1810, in Żelazowa Wola, 46 kilometers (29 miles) west of Warsaw, in what was then the Duchy of Warsaw, a Polish state established by Napoleon. The parish baptismal record gives his birthday as 22 February 1810 and cites his given names in the Latin form Fridericus Franciscus (in Polish, he was Fryderyk Franciszek). However, the composer and his family used the birthdate 1 March, which is now generally accepted as the correct date. Fryderyk’s father, Nicolas Chopin, was a Frenchman from Lorraine who had emigrated to Poland in 1787 at the age of sixteen. In 1806, Mikołaj Chopin married Tekla Justyna Krzyżanowska (1782–1861). Born a year later was Ludwika, married name Jędrzejewicz (1807–1855). Fryderyk was the Chopins’ second child and only son. He also had two younger sisters: Izabela, married name Barcińska (1811–1881), and Emilia (1812–1827), who died young. Six months after Fryderyk’s birth, the Chopin family moved to Warsaw, where Mikołaj took up a post at the Warsaw Lyceum. The Chopins moved into the Saxon Palace. Frederic received some piano instructions from his mother and later studied piano from Wojciech Zywny, and harmony and counterpoint from Jozef Elsner. The ruler of Russian Poland, Grand Duke Constantine often invited him as a playmate for his son. He played the piano and also composed a march for the Duke’s army. From September 1823 to 1826, Chopin attended the Warsaw Lyceum, where he received organ lessons from the Czech musician Wilhelm Würfel during his first year. In the autumn of 1826, he began a three-year course under the Silesian composer Józef Elsner at the Warsaw Conservatory, studying music theory, figured bass and composition. During the school year, he was the school organist at the Church of the Nuns of the Visitation, thanks to which he became familiar with the repertoire of organ music and Polish church song. 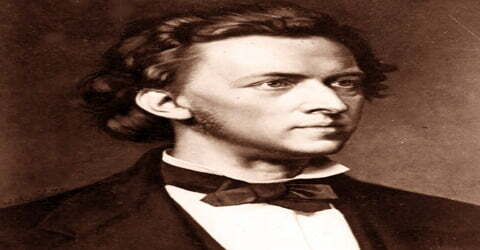 Frederic Chopin published his first composition at age 7 and began performing one year later. In 1832, he moved to Paris, socialized with high society and was known as an excellent piano teacher. His piano compositions were highly influential. Chopin was once engaged to Maria Wodzińska though the marriage was ultimately called off. Though Chopin had had youthful love affairs and was at one time engaged, none of his relationships lasted more than a year. 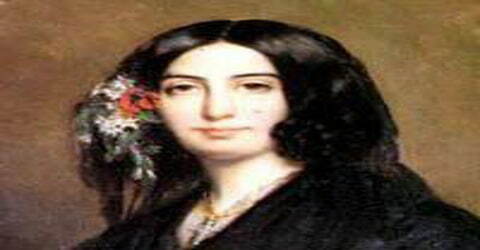 In 1838 he began a love affair with French novelist Amantine Lucile Aurore Dupin, aka, George Sand. The couple spent a harsh winter on the Spanish island of Majorca, where Chopin became ill. In March 1839, Sand realized that Chopin needed medical attention and took him to Marseille, where he was diagnosed with consumption (tuberculosis). In May 1839 they headed for the summer to Sand’s estate at Nohant, where they spent most summers until 1846. In autumn they returned to Paris, where Chopin’s apartment at 5 rue Tronchet was close to Sand’s rented accommodation at the rue Pigalle. He frequently visited Sand in the evenings, but both retained some independence. In 1842 he and Sand moved to the Square d’Orléans, living in adjacent buildings. In 1821, Frederic Chopin composed a polonaise in A-flat major. He dedicated this to his tutor Zywny. The composition is his earliest surviving manuscript. He attended the Warsaw Lyceum from September 1823 to 1826 and the Czech musician Wilhelm Wurfel gave him organ lessons in the first year. By 1826, he had composed several piano pieces in different styles, and his parents enrolled him in the Warsaw Conservatory of Music, where he studied for three years under Polish composer Josef Elsner. Chopin found himself invited at an early age to play at private soirées, and at eight he made his first public appearance at a charity concert. Three years later he performed in the presence of the Russian Tsar Alexander I, who was in Warsaw to open Parliament. Playing was not alone responsible for his growing reputation as a child prodigy. At seven he wrote a Polonaise in G Minor, which was printed, and soon afterward a march of his appealed to the Russian grand duke Constantine, who had it scored for his military band to play on parade. In September 1828 Fredric Chopin, while still a student, visited Berlin with a family friend, zoologist Feliks Jarocki, enjoying operas directed by Gaspare Spontini and attending concerts by Carl Friedrich Zelter, Felix Mendelssohn and other celebrities. On an 1829 return trip to Berlin, he was a guest of Prince Antoni Radziwiłł, governor of the Grand Duchy of Posen himself an accomplished composer and aspiring cellist. For the prince and his pianist daughter Wanda, he composed his Introduction and Polonaise Brillante in C major for cello and piano, Op. 3. After his first year, Elsner noted: ‘special aptitude’. A year later, Chopin composed his first two serious works: the Variations in B flat major, Op. 2 on the theme of ‘Là ci darem la mano’ from Mozart’s Don Giovanni, dedicated to his close friend Tytus Woyciechowski, and the Sonata in C minor, Op. 4, dedicated to Elsner. The Variations, his first work published outside Poland, would open the doors to concert halls during the young artist’s debut tour in 1829. The Sonata paved the way for the three mature masterworks in the genre written many years later. However, sensing he needed a broader musical experience, Chopin’s parents eventually sent him to Vienna, where he made his performance debut in 1829. Audiences were enthralled with his highly technical yet poetically expressive performances. Over the next few years, Chopin performed in Poland, Germany, Austria, and Paris, where he settled in 1832. There he quickly established relationships with other young composers, among them Franz Liszt, Vincenzo Bellini, and Felix Mendelssohn. After a preliminary expedition to Berlin in 1828, Chopin visited Vienna and made his performance debut there in 1829. A second concert confirmed his success, and on his return home he prepared himself for further achievements abroad by writing his Piano Concerto No. 2 in F Minor (1829) and his Piano Concerto No. 1 in E Minor (1830), as well as other works for piano and orchestra designed to exploit his brilliantly original piano style. His first études were also written at this time (1829–32) to enable him and others to master the technical difficulties in his new style of piano playing. In 1827, soon after the death of Chopin’s youngest sister Emilia, the family moved from the Warsaw University building, adjacent to the Kazimierz Palace, to lodgings just across the street from the university, in the south annexe of the Krasiński Palace on Krakowskie Przedmieście, where Chopin lived until he left Warsaw in 1830. Here his parents continued running their boarding house for male students; the Chopin Family Parlour (Salonik Chopinów) became a museum in the 20th century. In March and October 1830, Chopin presented his new works to the Warsaw public and then left Poland with the intention of visiting Germany and Italy for further study. He had gone no farther than Vienna when news reached him of the Polish revolt against Russian rule; this event, added to the disturbed state of Europe, caused him to remain profitlessly in Vienna until the following July when he decided to make his way to Paris. Soon after his arrival in what was then the center of European culture and in the midst of its own late-flowering Romantic movement, Chopin realized that he had found the milieu in which his genius could flourish. He quickly established ties with many Polish émigrés and with a younger generation of composers, including Franz Liszt and Hector Berlioz and, briefly, Vincenzo Bellini and Felix Mendelssohn. 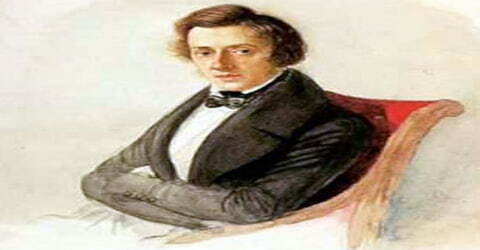 On November 2, 1830, Chopin set out for Western Europe with his friend Woyciechowski. They reached Austria, intending to go to Italy but the news of the ‘November 1830 Uprising’ reached them and his friend returned to Poland. He reached Paris in September 1831 and never returned to Poland. In 1835 he received his French citizenship and he traveled on his French passport. But he never felt comfortable in speaking French and always considered himself a Pole. While in Paris, Chopin found his delicate style didn’t always enthrall the larger concert audiences, who had been exposed to the works of Franz Schubert and Ludwig van Beethoven. A fortuitous introduction to the Rothschild family opened new doors, however, and Chopin soon found employment in the great parlors of Paris as both recitalist and teacher. His increased income allowed him to live well and compose such pieces as Nocturnes of Opp. 9 and 15, the Scherzo in B-flat minor, Op. 31 and the Sonata in B-flat minor, Op. 35. On February 26, 1832, Chopin gave his debut concert in Paris at Salle Pleyel. With the help of the wealthy Rothschild banking family, he got the chance to perform at other private salons. These performances earned him respect from his peers and established him amongst the Parisian musical elite. He became financially independent after publishing his works and teaching piano to affluent students from all over Europe which liberated him from performing at concerts. 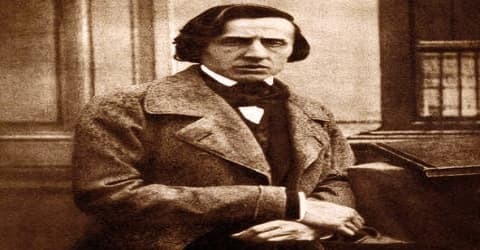 By the end of 1832, Chopin had established himself among the Parisian musical elite and had earned the respect of his peers such as Hiller, Liszt, and Berlioz. He no longer depended financially upon his father, and in the winter of 1832, he began earning a handsome income from publishing his works and teaching piano to affluent students from all over Europe. This freed him from the strains of public concert-giving, which he disliked. 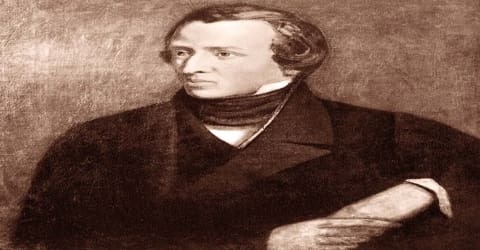 His music soon found success with publishers, and in 1833 Chopin contracted with Maurice Schlesinger, who arranged for his works to be published in France, Germany, and England. The six successive summers spent in the country were undoubtedly the happiest moments in the composer’s life since his departure from Poland moments that Chopin devoted to intense and particularly fruitful work, moments that brought us masterworks of the piano literature. His health started deteriorating from 1842 and he had to decline several invitations for concerts. Modern research suggests he might have suffered from ‘temporal lobe epilepsy’. During his second summer in Nohant (1841), he wrote the Ballade in A flat major, the mature Nocturnes, Op. 48 and the Fantasy in F minor. In the summer months of 1842 and 1843, he composed the Impromptu in G flat major, Ballade in F minor, Polonaise in A flat major, Scherzo in E major, Nocturnes, Op. 52 and Mazurkas, Op. 56. A year later, the Berceuse and the Sonata in B minor. In 1845, he worked on Chopin’s most elaborate compositions: the Barcarolle, Polonaise-Fantasy and Nocturnes, Op. 62. Finally, in 1846, he completed the Nocturnes, Op. 62 and worked on the Cello Sonata – his last work with opus number. In February 1848, he gave his last Paris concert including three movements of the Cello Sonata Op. 65, with the cellist Auguste Franchomme. His reception in London was enthusiastic, and he struggled through an exhausting round of lessons and appearances at fashionable parties. Chopin lacked the strength to sustain this socializing, however, and he was also unable to compose. By now his health was deteriorating rapidly, and he made his last public appearance on a concert platform at the Guildhall in London on November 16, 1848, when, in a final patriotic gesture, he played for the benefit of Polish refugees. On returning to Paris, he struggled with illness and tried to write. He still taught, but he was increasingly weak. Lonely, now meeting with just a few close friends, he maintained correspondence with Solange and never ceased to think and speak about George Sand. In the summer of 1849, he asked his sister Ludwika to come, and she took great care of her younger brother. But it was already too late. On 17 October 1849 at the age of 39, after midnight, the physician leaned over him and asked whether he was suffering greatly. “No longer”, he replied. He died a few minutes before two o’clock in the morning. Those present at the deathbed appear to have included his sister Ludwika, Princess Marcelina Czartoryska, Sand’s daughter Solange, and his close friend Thomas Albrecht. Later that morning, Solange’s husband Clésinger made Chopin’s death mask and a cast of his left hand. Officially, it was said that he died due to tuberculosis but this is disputed. Other possibilities that have been attributed to his death include: cystic fibrosis, cirrhosis, and alpha 1-antitrypsin deficiency. The funeral, held at the Church of the Madeleine in Paris, was delayed almost two weeks, until 30 October. An entrance was restricted to ticket holders as many people were expected to attend. Over 3,000 people arrived without invitations, from as far as London, Berlin, and Vienna, and were excluded. His body was buried at Père Lachaise cemetery, but his heart was interred at a church in Warsaw, near the place of his birth. As per his Chopin’s wish, his sister Ludwika took his heart in an urn, preserved in alcohol, back to Poland in 1850.